Learn a language the easy, fun and fast way. Is there a better alternative to Hello? Is Hello really the best app in Language category? Will Hello work good on macOS 10.13.4? Hello... Say 'Hello' in 115 languages with EuroTalk. See where they are spoken and how they sound. Play the quizzes to test your knowledge and print out a handy reference sheet. 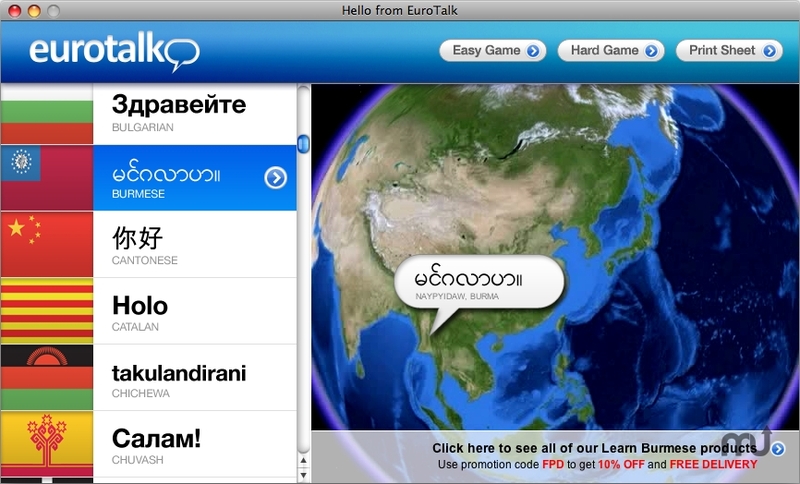 Learn a language the easy, fun and fast way with EuroTalk. Hello needs a review. Be the first to review this app and get the discussion started! Hello needs a rating. Be the first to rate this app and get the discussion started!